Just left a family wedding for Pizza Port down the road. Can't get enough of this place! Seanywonton, you and Clarissa have to enjoy the beers on tap here! 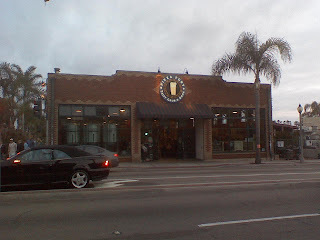 Quintessential of San Diego beer, Pizza Port represents us very well! The pizza isn't half bad too. Cheers! We can get them in NYC sometimes but it's usually past it's prime. So the anniversry ale no longer tastes like a IIPA, but a nice light, slightly oxidized barleywine. Looking forward to hitting up some great venues with you in April!